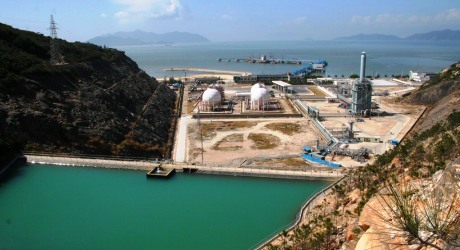 SGP targets to be one of the leading energy operators in East Asia. 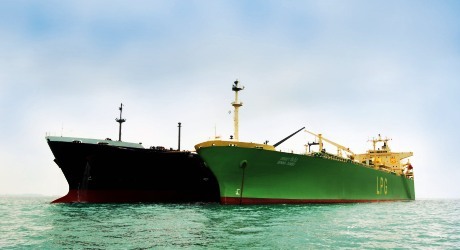 For business in Thailand, the Company has investment plans to expand LPG business by increasing number of LGP filling stations and LPG filling plants as well as to expand marine transportation business by purchasing more LPG vessel tankers. 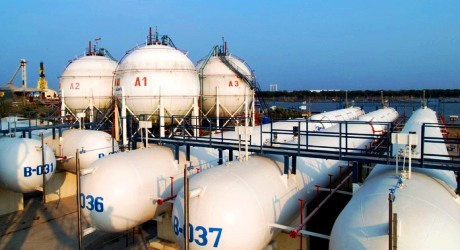 With regard to overseas business, SGP has purchased LPG terminal with filling plants to operate LPG business in Vietnam, China, Singapore, Malaysia and etc. SGP also looks for investment opportunity for LPG business in more companies of East Asia. Moreover, SGP also seeks opportunity to expand business in other energy related business, for instance, expansion in LNG or NGV business, including petrochemicals and other energy fields. 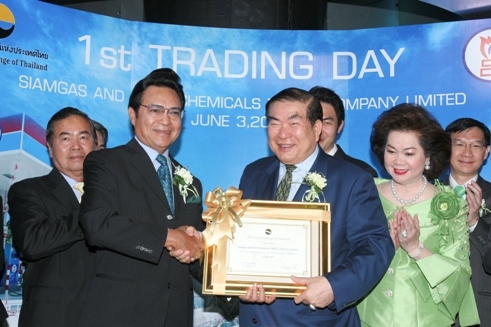 Siamgas and Petrochemicals Public Company Limited has been listed in Stock Exchange of Thailand since 2008. SIAMGAS Group determines to be the regional leader in energy business. • Plan to increase facilities, warehouses, gas filling plants and service stations including gas tankers and gas trucks. • Develop human resources continually to develop potential and increase capability for achievement operations results with efficiency and safety. • Place importance on policy concerning product safety, service rendering including operations within the organization. • Focus on well livelihood of the public by providing excellent products and services people, particularly on safety, convenience and at reasonable and fair prices. • Perform business in ethical manner pursuant to governance principles and against all types and kinds of corruption, place importance on environment preservation as well as having responsibilities to society, community as well as shareholders and all related parties. 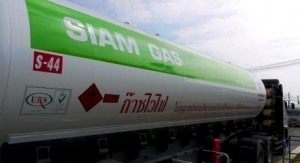 Siamgas and Petrochemicals Public Company Limited, formerly known as VSPP Development Company Limited, was established on 17 January 2001 with initial registered capital of 500,000 baht, and the objective to trade and distribute liquefied petroleum gas (LPG) under the trademark of “SIAMGAS”. SGP was appointed an agent for Siam Gas Industry Company Limited (SGI) which was a fuel trader under section 7 of the Fuel Trade Act, B.E.2543. At that time, the Weeraborwornpong Group was the major shareholder of SGP and also SGI. However, the Weeraborwornpong Group has sold all SGI shares to outsiders later on 30 June 2006. SGP started its business from LPG auto-gas station, and then expanded to LPG filling plant business. 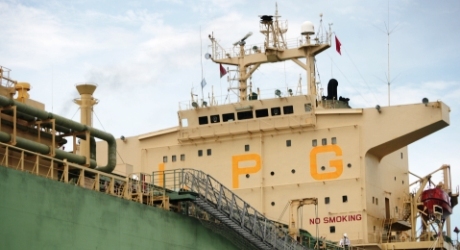 SGP has continuously restructured its business by expanding its operations to trading of LPG and other petrochemical products, as well as other related businesses for example transportation of petroleum by both road tankers and vessel tankers. With regard to its expansion, on 27 December 2004, SGP acquired the business of Unique Gas and Petrochemicals Public Company Limited (UGP), who operated LPG, ammonia, and other petrochemicals business. On 31 March 2005, SGP invested in Lucky Carrier Company Limited (LCR) who was the Oil and LPG transportation service provider. Then, on 1 September 2005, SGP purchased all major assets for LPG business operations from SGI such as lands, property lease rights, buildings, equipments, tools, LPG cylinders, LPG terminals, trademark, and patents. 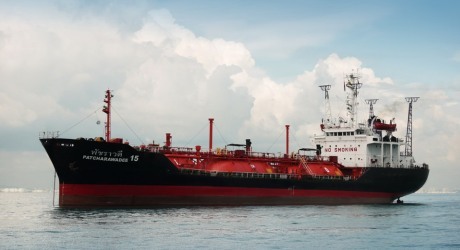 Since 2005, SGP has changed the name to Siamgas and Petrochemicals Public Company Limited, and obtained the license as a Fuel Trader under section 7 trading LPG, ammonia, and other petrochemicals under the trademark of “SIAMGAS” and “UNIQUE GAS”, and transporting LPG and other products. SGP has altogether 8 subsidiaries which are the directly held subsidiaries – Unique Gas and Petrochemicals Public Company Limited and Lucky Carrier Company Limited and other 6 companies of which shares are held through the subsidiaries including Lucky Marine Company Limited, Chemicals Gas Transport Company Limited, Unique Marine Company Limited, Unique Gas Trading Company Limited, Unique Gas International Company Limited, and Unique Gas Carrier Company Limited. • SGP established Siam Quality Steel Company Limited (SQS) with the registered capital of 70 million baht on 27 June 2008 with the purpose to purchase all assets for the operations of LPG cylinder manufacturing and distribution of Universal Metal Drum Company Limited from Sukhumvit Asset Management Company Limited in an amount of 123.30 million baht. 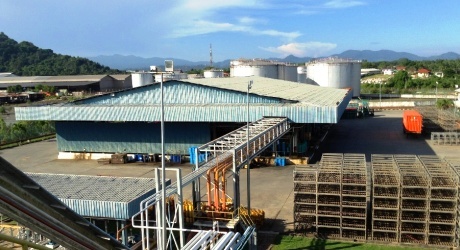 • SGP acquired 28 million shares of Siam Ethanol Export Company Limited (SEEC) (par value 10 baht) in the total amount of 280 million baht from Vivon Corporation Company Limited, and Mr. Kritpong Patcharapinyopong who are not related to SGP. Therefore, SGP has become the major shareholder holding 70% equity stakes in SEEC since 7 October 2008. • SGP purchased a piece of land for new terminal construction from Thai Krieng Group Public Company Limited on 30 December 2008. The purchased estate comprises 89-3-40 rais land, and buildings located at 33 Moo 4, Suksawad Road, Bangchak, Phrapradaeng, Samutprakarn. • SGP established Siam Gas HK Limited (“SGHK”), a direct subsidiary, in which SGP holds 100% share interest, was incorporated in Hong Kong Special Administrative Region of the People’s Republic of China on 20 August 2009. Its primary objectives are a holding company and trading of petroleum product. • SGP purchased 100% equity interest in Super Gas Company Limited (SPGV) from Shanghai Crown Company Limited at 11.5 million USD and SGP directly holds 100% of registered and paid-up capital on 2 March 2010. • SGP purchased 100% share capital of Shell Gas (LPG) Singapore Private Limited (SGLS) from Shell Gas (LPG) Holdings B.V. at 15.0 million SGD and SGP directly holds 100% of registered and paid-up capital on 15 July 2010. Shell Gas (LPG) Singapore Private Limited (SGLS) has been renamed to SingGas (LPG) Private Limited (SINGGAS). On 28 December 2010, SGP sold its 5% equity stake to Thousand Stars Corporate Limited. • SGP established UNITED GAS & PETROCHEMICALS SDN. BHD. (“UNITED”) as its subsidiary in which SGP holds 100% share interest. UNITED was registered in Malaysia in quarter 3 of 2010 in order to operate and distribute petroleum products in Malaysia. On 9 August 2013, the meeting of the Board of Directors has resolution to dissolve UNITED because this subsidiary has not yet operated any business and for purposes of managerial benefits and appropriateness. Dissolution of UNITED shall not have any impact to operations of the Company. • SGP and Siam Nathalin Company Limited jointly formed a joint venture of which 50% share capital held by SGP in quarter 3 of 2010. • SGP purchased 100% of equity interest in BP Zhuhai LPG Limited (BPZH) a wholly owned by SHINE TOP INTERNATIONAL INVESTMENT LIMITED (“SHINE TOP”) (49%) and BP Global Investments Limited (BP GLOBAL) (51%) at 101.0 Million USD through Siamgas HK Company Limited on 29 September 2010, and the transaction was completed on 24 December 2010. The Company is now renamed to Sino Siam Gas and Petrochemicals Company Limited(SINOSIAM). SINOSIAM was registered in China in order to operate the integrated LPG business comprising of storage terminal, jetties for import and export, terminal throughput services, as well as bulk breaking for redistribution via vessel tankers, road tankers, and cylinder filling plant. registered in China in order to operate the integrated LPG business comprising of storage terminal, jetties for import and export, terminal throughput services, as well as bulk breaking for redistribution via vessel tankers and road tankers. • SGP established Siam Gas Trading Private Limited (SGT) of which 100% share capital owned by SGP. SGT was registered in Singapore on 27 May 2012 with the purpose to do import and export LPG business in foreign countries. Business operation has been commenced since January 2013. • SGP had completed merging its 5 marine transportation subsidiaries including Lucky Marine Company Limited, Unique Gas Trading Company Limited, Unique Gas International Company Limited, and Unique Gas Carrier Company Limited into Siam Lucky Marine Company Limited which SGP holds shares directly through its subsidiaries 99.99% of paid up registered capital since 1 June 2011. • SGP issued subordinated, unsecured bonds with bond holder representative totally 4,500.0 million baht on 6-8 February 2012 with objective to reduce loan interest burden and to release all of collateral SGP placed with the financial institutions. • SGP established Siam Suksawat Co., Ltd. as its subsidiary on 28 August 2012 of which 99.99% of its registered and paid-up capital held by SGP with purpose to render container terminal services. • SGP reduced its registered capital by repurchasing 31,068,500 shares. Schedule for share repurchase project was from 3 August 2009 to 2 February 2010 and schedule to dispose such repurchased shares was from 3 February 2010 to 2 February 2013. 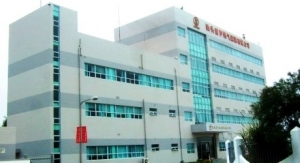 Pursuant to the ministerial regulation of the Ministry of Commerce Re: “Rules and procedures governing a company repurchasing its own shares, disposing of such repurchased shares, and writing off such repurchased shares B.E. 2544”, it is specified that upon completion of disposition period of 3 years, if the company cannot dispose all of such repurchased shares or does not dispose them, the company must reduce its paid-up capital by writing off such repurchased share which have not been disposed. Therefore, SGP has a resolution to reduce its registered capital of 31,068,500 shares on 22 February 2013 from totally 950,000,000 ordinary shares to be 918,931,500 shares. Such capital reduction has been registered with the Ministry of Commerce already on 6 March 2013. • SGP purchased 79.64% of ordinary shares of Shell Gas Hai Phong Limited (“SGH”) at 0.3 million USD from Shell Gas (LPG) Holding B.V. Deposit has been placed on 3 October 2012 and business handover was completed on 18 January 2013. This company is renamed to “Citygas North Company Limited” with objective to expand liquefied petroleum gas business in Vietnam. • SGP purchased 100% of ordinary shares of Shell Gas (LPG) Vietnam Limited (“SGV”) from Shell Gas (LPG) Holding B.V. at 0.1 million USD. Deposit has been placed on 3 October 2012 and business handover was completed on 18 January 2013. 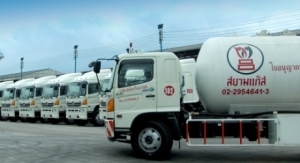 This company is renamed to “Citygas Company Limited” with objective to expand liquefied petroleum gas business in Vietnam. • SGP purchased assets and liquefied petroleum gas business of Shell Timur SDN. BHD. (“STSB”) in East Malaysia at 10.0 million Malaysian ringgit through Mygas SDN. BHD. (“MYGAZ”). MYGAZ is a subsidiary which SGP directly holds 70% of registered and paid-up capital and is registered in Malaysia to operate liquefied petroleum gas business in Malaysia. Deposit has been placed on 3 October 2012. Handover of all assets and liquefied petroleum gas business have been completed on 29 May 2013. • SGP issued subordinated, unsecured bonds with bondholder representative totally 1,300 million baht on 27-29 January 2014 with objective to use for business operation and refinancing. • SGP issued subordinated, unsecured bonds with bondholder representative totally 2,000 million baht on 26-29 January 2015 with objective for business operation and expansion including for refinancing. • Merging of two of SGP’s subsidiaries, SUPERGAS CO., LTD. (“SGV”) and CITYGAS CO., LTD. (“CGV”), in Vietnam had completed on 19 October 2015, and SGV has operated business on SGP’s behalf with objective to strengthen of business operation in Vietnam. However, all of assets, liabilities and obligations of CGV have been transferred to SGV in order to comply with the civil and commercial Code law governing mergers of company limited in Vietnam. 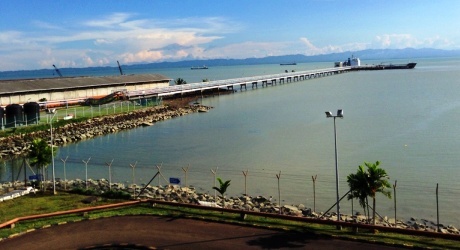 • SGP had established SIAMGAS MYANMAR CONSORTIUM PTE. LTD. (“SGM”) as subsidiary of SGP with total registered capital of 100 Singapore dollar or approximately 2,566 baht (Exchange rate at 25.66 baht per 1 Singapore dollar). SGP holds 80% of registered capital and paid-up shares. 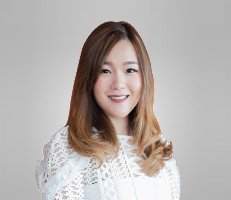 SGM had registered as a juristic person in Singapore on 30 November 2015 with objective to be a holding company. • SGP had established FAR EAST PETROLEUM SDN. BHD. (“FAR EAST”) as subsidiary of SGP with total registered capital of 400,000 Malaysian Ringgit and holding 100% of shares on 7 November 2015. On 24 February 2015, SGP increased registered capital and paid-up shares of Far East from 400,000 Malaysian Ringgit to 10,000,000 Malaysian Ringgit with objective to operate petroleum distribution business and warehouse in Malaysia. Such capital increase made NAS GAS SDN. BHD. (“NAS GAS”), a non-related company with SGP, became a joint investor in the proportion of 30% of paid up capital, or in the amount of MYR 3,000,000 or equivalent to 25,380,000 baht. Thus, the Company’s proportion of registered capital and paid-up shares in FAR EAST is 70% or in the amount of MYR 7,000,000 or equal to 59,220,000 baht (Exchange rate is MYR 1 = 8.46 baht). This joint investment is considered as a joint venture (under joint venture contract). • SGP issued subordinated, unsecured bonds with bondholder representative totally 3,000 million baht on 28-29 January 2016 with objective for business operation and expansion including repayment of existing subordinated bonds. • SIAMGAS POWER PTE. LTD. (“SPW”), as subsidiary that SGP holds 100% of registered capital and paid-up shares with total investments of 24 million US dollar, or equivalent to approximately 844.08 million baht (exchange rate is 1 US dollar = 35.17 baht). SPW has registered as a juristic person in Singapore on 5 July 2016 with objective to be a holding company in electrical energy business. • SPW acquired 30% of investments of registered capital and paid-up shares of 230 MW combined cycle power plant in Myanmar with total investments of 48 million US. Dollar, or equivalent to approximately 1,688.16 million baht (by referring to average exchange rate of the Bank of Thailand as of 15 July 2016 where 1 US dollar equaled to 35.17 baht), where SIAM GAS POWER PTE. LTD. (“SPW”), a subsidiary registered in Singapore that SGP holds 100% of registered capital, is an investor. Sales and Purchase Agreement has been executed on 18 July 2016. • SGP established SIAMGAS GLOBAL INVESTMENT PTE. LTD. (“SGB”), a subsidiary, that SGP holds 100% of registered capital and paid-up shares with total investment of 1 Singapore dollar, or equivalent to approximately 26.34 baht (exchange rate is 1 Singapore dollar = 26.34 baht). SGB has registered as a juristic person in Singapore on 25 August 2016 with objective to be a holding company. 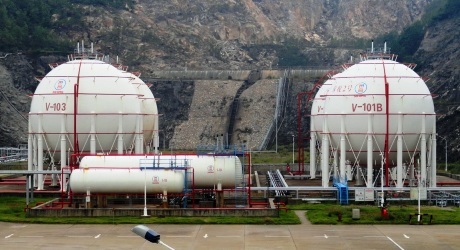 SGP operates Liquefied Petroleum Gas (LPG) trading and other relating business. 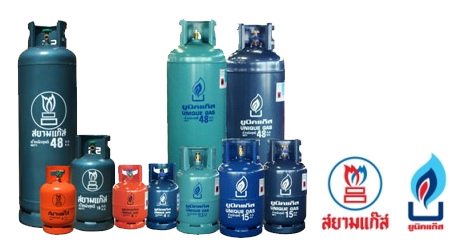 SGP is a leading LPG trader in Thailand and overseas for almost 40 years. Currently SGP operates in Thailand, Singapore, Vietnam, China and East Malaysia. SGP is one of a leading LPG trader in Thailand and operates under trademark “SIAMGAS”. SGP distributes LPG through three channels which are 1. Cooking gas – SGP sell LPG to household and small enterprise with 4 kg. 15 kg. and 48 kg. cylinder. 2. Automobile gas – SGP sell LPG through gas station nationwide. 3. 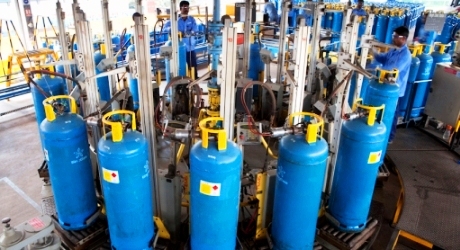 Industrial gas – SGP sell LPG in bulk to large industries. UGP established on 12 January 1982, has its current registered capital of 200 million baht and paid-up capital of 105 million baht. SGP is its current major shareholder holding 99.51 % of the paid-up capital. The business of UGP is filling and distributing LPG, ammonia, and other petrochemicals such as butane, propane, and propellant under “Unique Gas” trademark, and UGP operates its business as a trader under section 7 of Fuel Trade Act, B.E. 2543. SINGGAS, formerly known as Shell Gas (LPG) Singapore Private Limited is a subsidiary registered in Singapore to operate LPG distribution business. On 30 July 2010, SGP purchased 100% shares of Shell Gas (LPG) Singapore Private Limited from SHELL GAS (LPG) HOLDINGS B.V., then 5% of registered capital was sold to outsider on 29 December 2010. SGT is a subsidiary which SGP holds 100% shares and registered in Singapore with the capital of 500,000 Singapore Dollar. SGT operates LPG trading business. SUPERGAS is a subsidiary which SGP holds 100% shares. 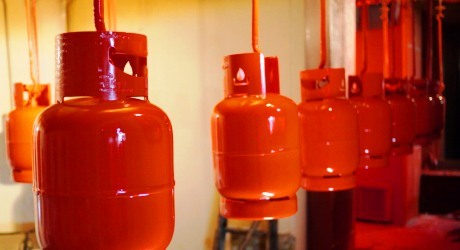 SUPERGAS is a registered company operating LPG business in Vietnam. SGP purchased 100% share SUPERGAS from SHANGHAI CROWN LIMITED on 2 March 2010. On 19 October 2015 SUPERGAS CO., LTD. (“SGV”) and CITYGAS CO., LTD. (“CGV”) are subsidiaries of SGP. They have consolidation and operation on behalf of SGV. The purpose of merger aims to strengthen of business operation in Vietnam; however, net of asset, liabilities and obligation of CGV has been transfer to SGV comply by commercial law governing mergers of company limited in Vietnam. After merger, registered capital of SUPERGAS is at 425.50 million baht. CITYGAS NORTH is a joint venture which SGP holds 79.6% shares and is registered in Vietnam to operate liquefied petroleum gas distribution business with registered capital of 149.90 million baht. SGP purchased all of issued share capital of Shell Gas Haiphong Limited from Shell Gas (LPG) Holding B.V. at 0.3 million USD and all transactions have completed on 18 January 2013. Later, “Shell Gas Haiphong Limited” has been renamed to “CITYGAS NORTH Company Limited”. SINOSIAM is a subsidiary which SGP indirectly holds 100% shares. 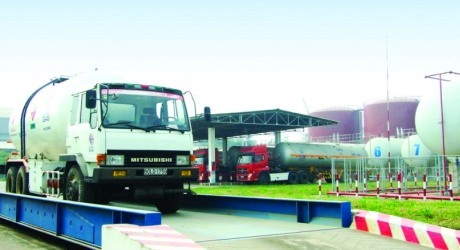 SINOSIAM is a fully integrated petroleum distribution business in China. 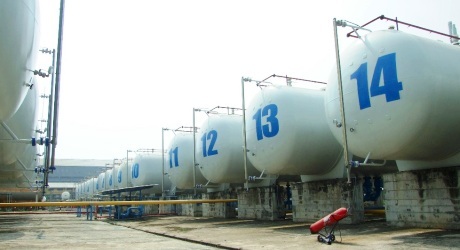 The facilities of SINOSIAM include depot, jetty for importing, exporting, and throughput, facilities for distribution by vessel tankers and road tankers, and an LPG cylinder filling plant. SGP purchased 100% equity interest of BP Zhuhai Limited on 24 December 2010, and now operates the business under SINOSIAM. SOGEL is a subsidiary which SGP indirectly holds 100% shares and is registered in China. 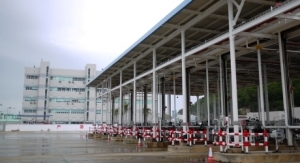 SOGEL is a fully integrated petroleum distribution business in China. The facilities of SOGEL include depot, jetty for importing, exporting, and throughput, facilities for distribution by vessel tankers and road tankers, and SGP purchased 100% equity interest of SOGEL on 30 June 2011. MYGAZ is a subsidiary which SGP directly holds 70.0% shares and is registered in Malaysia to operate petroleum distribution business with registered capital equals to 12.0 million Malaysian ringgit. MYGAS has purchased assets and liquefied petroleum gas business of Shell Timur SDN. BHD. (“STSB”) in East Malaysia at 10.0 million ringgit. Deposit has been placed on 3 October 2012 and asset and liquefied petroleum have already been transferred on 29 May 2013. SGP operates in land and marine transportation of LPG and ammonia under two subsidiaries which are Lucky Carrier Co., Ltd. (“LCR”) and Siam Lucky Marine Co., Ltd. (“SLM”). Both subsidiaries registered under section 12 of Fuel Trade Act, B.E. 2543 and applied for oil and LPG transportation license under section 13 bis of Fuel Trade Act, B.E. 2521 as amended by the Fuel Trade Act, (No. 2) B.E. 2522 by the Department of Commercial Registration. SGP set up subsidiaries to operate transportation business to support SGP’s main business. This will keep business most versatility. Lucky Carrier Co., Ltd. was established on 13 August 1991 with SGP as a major shareholder holding 99.99% of the paid up capital. 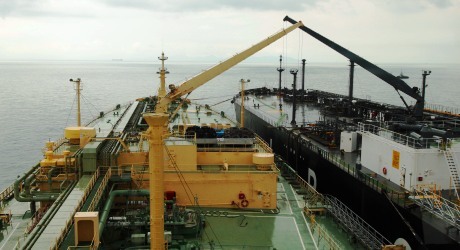 LCR registered under section 12 of Fuel Trade Act, B.E. 2543 and operates LPG and oil transportation by road tankers. Currently, the fleet comprised of 28 oil road tankers with combined capacity of 948,000 liters , 280 LPG road tankers with combined capacity of 3,143 tons, and two road tankers for other chemical product with combined capacity of 68,000 liters. LCR provides transportation service nationwide. SLM is a subsidiary of SGP with SGP holding directly 45.9% and holding indirectly through LCR and UGP 39.4% and 14.7% respectively. SLM operates marine transportation of petroleum and LPG in Thailand and Oversea, and has a license for LPG and oil transportation under section 12 of Fuel Trade Act, B.E. 2543. Currently, SLM has 20 LPG tanker vessels with the combined loading capacity of 116,553 tons, and 3 ammonia tanker vessels with the combined loading capacity of 2,573 tons. 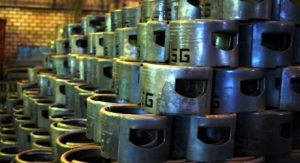 SGP operates LPG cylinder manufacturer business through a direct subsidiary Siam Quality Steel Co., Ltd. (“SQS”). SGP set up SQS to operate cylinder manufacturer business to support SGP’s main business. This will keep business most versatility. SQS is a direct subsidiary with SGP holding 99.99% of the paid up capital. SQS operates LPG cylinder manufacturer including LPG cylinder for cooking usage and LPG canister for automobile. The main customers of SQS are SGP UGP and other companies in Siamgas group in Thailand and overseas. The directors, executives and employees determine to build corporate culture which adheres to zero tolerance policy for corruption when dealing business with the public sector and private sector or any individual person. The directors and the management are well aware of importance on dissemination of knowledge and understandings concerning anti-corruption policy and practices, including matters of law of Thailand to the persons who shall deal business with the Company and the Company’s stakeholders. The directors, executives and employees at all levels must strictly comply with the anti-corruption policy and code of conduct and must not get involved in any and all forms of corruption directly or indirectly. Political assistance. The Company has a policy not to provide any political assistance as it has a political neutrality policy and does not give preference to any political party or group. It will not support any political activities of any particular political party and it will not support or provide assistance to any candidate for public office directly or indirectly. Charitable donation and fundraising with purposes for social, economic and cultural development; for building up good reputation of the Company and for strengthening business relations. The Company has a policy to oversee and supervise the charitable donation and fundraising activities to ensure that they are conducted with transparency and full compliance with applicable laws and regulations, and they must not be used as a means of bribery and corruption. For these purposes, clear, precise and effective operating guidelines have been established and all evidencing document must be able to be verified. Giving or receiving gift and business entertainment to the person or public and private sectors must be correctly and transparently conducted pursuant to the operating practices. They shall not be conducted with purposes for the return of benefits or others which may be considered as corruption. Request for approval and criteria for consideration shall be as per the specified Gift and Business Entertainment Procedures. The Company must not pay or receive any facilitation payment or bribery for conducting current or potential business via the person acting on behalf of the Company, the advisor, the broker, the counterparty, the business partner or the middleman who are under the Company’s control. The Company has stipulated regulations on payment, gifts or assets by specifying applicable limits and approval authority and also specified that clear evidencing document for such payment must be presented to ensure that disbursement of money, giving of gift or assets shall not be made with purpose of corruption. Information and details must be inspected to ensure compliance with the specified operating practices. Sales and marketing. The Company has sales and marketing inspection process in place to ascertain that such activities have been correctly and transparently conducted and there will not be any room for corruption. Procurement and employment: The Company has inspection process for procurement and employment to make sure that such activities have been conducted with transparency, integrity and compliance with applicable laws including the Company’s procurement and employment regulations. Human resources management: Processes for personnel recruitment, promotion, training, performance evaluation must be able to reflect the Company’s intention and practices on anti-corruption policy. Communicate anti-corruption policy and practices to the directors, executives and employees as well as to the person who will act on the Company’s behalf, the advisor, the broker, the counterparty, the business partner including the subsidiaries, the associated companies and other companies that the Company has controlling power for their implementation via the specified channels. There must be transparent and correct financial reporting preparation procedures in place. In addition, corruption risk assessment procedures must be specified and included as a part of the enterprise risk factors and appropriated and effective internal control system must be established to prevent unappropriated operations. Secure and accessible channel must be provided for the employees and other persons for requesting for recommendation on compliance with the anti-corruption policy and practices and to send information on misconduct or compliant by ensuring that the informant must be appropriated protected. The Company’s employees shall not neglect or ignore when witnessing any act which could be regarded as corruption related to the Company. He or she should inform a clue or file a complaint via the channel specified by the Company and provide cooperation in finding the fact. When in doubt or require any recommendation, employees should consult with the designated party/entity via the channel provided by the Company. The Company shall provide equitable treatment and protection and shall not demote, impose penalty or negative result to the employee who rejects to inform a clue or file a complaint on corruption relevant to the Company. There must be a protection measure for the informant, the complainant or the person who cooperates on reporting the corruption act as per specified. Any person who fails to comply with the Company’s anti-corruption policy or practices shall be imposed with disciplinary penalty pursuant to the regulations specified by the Company, which shall include termination of employment, if the Company deems necessary, and shall also be penalized pursuant to the relevant laws.